Since 1984, Howard Hurd Landscaping has been giving Clark County residents and businesses unique, expertly designed landscapes and quality hardscaping features that engage the eye and withstand the test of time. Whether you want to modernize the look of your backyard or impress your customers with new outdoor walking paths, our experienced and resourceful team can find a landscaping scheme that is perfect for you. Landscaping: Our landscaping services include but are not limited to laying sod, installing sprinkler systems and landscape lighting design and installation. We believe that a successful landscape design incorporates and enhances the natural flow of a space, and we also believe in following through on our clients’ visions. From the first shovel to the last light installation, we will be communicating with you every step of the way. 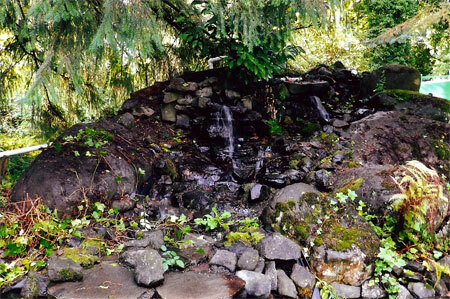 Hardscaping: Our hardscaping services include building and installing seating walls, water features, flagstone patios, walkways and retaining walls in Clark County, WA. Hardscaping is meant to build upon the natural landscape and make it more functional and accessible, and that is exactly what we aim to accomplish with our hardscaping services. We also use only the finest materials to ensure enduring results. 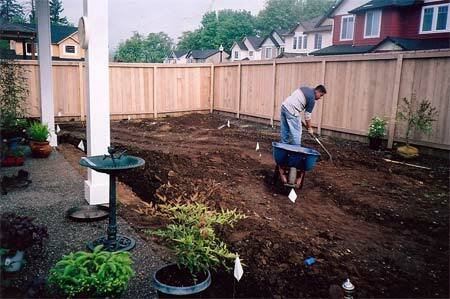 If you want to create a truly enchanting outdoor space, you will want to hire Howard Hurd Landscaping. Those who wish to learn more about our services, or who would like to schedule a consultation with one of our landscapers, may get in touch with Howard Hurd Landscaping by giving us a call at 360-834-1740, or by visiting our Contact Us page. "We were delighted with the design Howard came up with to do our path and a dry river bed on the side of our new home. He significantly excee..."
"Howard Hurd Landscaping Rocks! "And Thats Not All". A true pleasure to do business with. Howard and his crew are honest hardworking artisan..."
"Always on time and understood exactly what we wanted to accomplish. We are very happy with the result and will call Howard and Candy for our..."
"If you are looking for a skilled landscaper in this area, you wont go wrong with Howard Hurd Landscaping! They had great suggestions for tre..."
"Words cant describe how pleased we are with our new water feature! Howard showed up on time everyday and finished the job ahead of schedule."